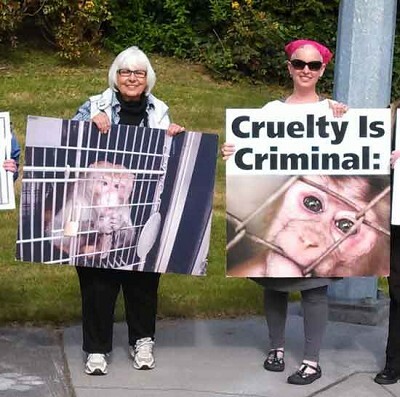 Extensive animal testing also occurs at the Everett-based Shin Nippon Biomedical Laboratories (SNBL), where they test on young primates and household dogs. This private facility is not subject to review by public committee but has been noted for egregious practices such as “fail[ing] to implement standard operating procedures in laboratory study methods that are adequate to ensure the quality and integrity of the data” and “fail[ing] to adequately inspect, clean and maintain equipment,” according to a warning letter from the U.S. Food and Drug Administration. CHRISTIE LAGALLY writes a blog called “Sniffing Out Home: A Search for Animal Welfare Solutions” at www.sniffingouthome.org. She also hosts the new “Living Humane” radio talk show on KKNW 1150AM. To comment on this column, write to CityLivingEditor@nwlink.com.